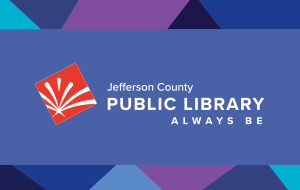 Jefferson County Public Library seeks to provide quality Library service to all users in a safe and pleasant environment that is conducive to educational and recreational study and research. Any behavior that is disruptive or that inhibits Jefferson County Library from ensuring a safe environment or interferes with the use of the library may elicit an appropriate response to deny access to facilities and/or services. Each person can help by respecting the rights of others and complying with the following while on library property. Any violation of the code of conduct may result in suspension of library privileges and access to facilities and/or services. The Director of Public Services may temporarily ban a patron denying access to all facilities and/or services within the Jefferson County Public Library. A patron with suspended privileges may appeal a suspension in writing to the Executive Director. The Executive Director or designee will respond to the appeal. The decision of the Executive Director is final.